Cdam odnokomn. 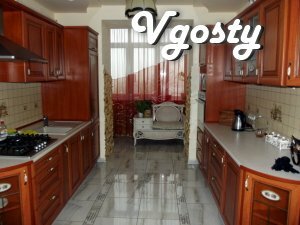 apartment in the center of Truskavets, ul.S.Bandery 35, 3rd floor, new building, panoramic view of the city and the mountains, To the pump-room for 5-7 min., izolirov.vnutr.dvorik, intercom, internet, TV, cable TV , kitchen, refrigerator, washing m-on. Persistent water, indiv. otoplenie.Organizatsiya treatment (medical consultation, putovki in sanatorium Sanatorium prices, treatments, massages). Have a nice and memorable vacation you.